Geoff Johns is one of the most prolific and popular contemporary comic book writers. 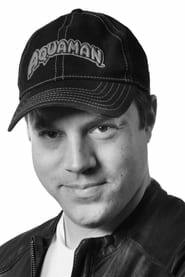 He has written highly acclaimed stories starring Superman, Green Lantern, the Flash, Teen Titans, and Justice Society of America. 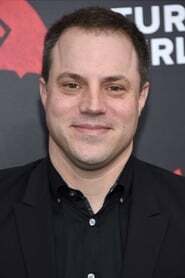 He is the author of The New York Times best-selling graphic novels GREEN LANTERN: RAGE OF THE RED LANTERNS, GREEN LANTERN: SINESTRO CORPS WAR, JUSTICE SOCIETY OF AMERICA: THY KINGDOM COME, SUPERMAN: BRAINIAC and BLACKEST NIGHT. Johns was born in Detroit and studied media arts, screenwriting, film production and film theory at Michigan State University. After moving to Los Angeles, he worked as an intern and later an assistant for film director Richard Donner, whose credits include Superman: The Movie, Lethal Weapon 4 and Conspiracy Theory. Johns began his comics career writing STARS AND S.T.R.I.P.E. and creating Stargirl for DC Comics. He received the Wizard Fan Award for Breakout Talent of 2002 and Writer of the Year for 2005, 2006, 2007 and 2008 as well as the CBG Writer of the Year 2003 through 2005 and 2007 and 2008, and CBG Best Comic Book Series for JSA 2001 through 2005. After acclaimed runs on THE FLASH, TEEN TITANS and the best-selling INFINITE CRISIS miniseries, Johns co-wrote a run on ACTION COMICS with his mentor Donner. In 2006, he co-wrote 52: an ambitious weekly comic book series set in real time, with Grant Morrison, Greg Rucka and Mark Waid. Johns has also written for various other media, including the acclaimed "Legion" episode of SMALLVILLE and the fourth season of ROBOT CHICKEN. He is writing the story of the DC Universe Online massively multiplayer action game from Sony Online Entertainment LLC and has recently joined DC Entertainment as its Chief Creative Officer. Johns currently resides in Los Angeles, California.